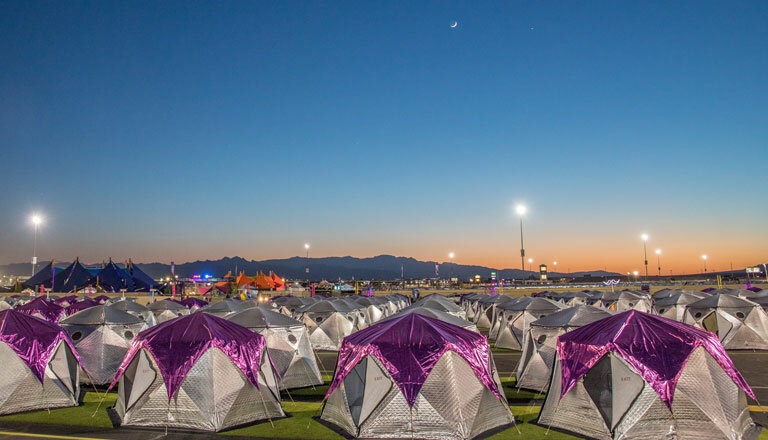 Last year, EDC Las Vegas announced the debut of their first ever camp grounds. Although it was their first time, the feedback was quite remarkable. The new camp grounds provided festival attendees an alternative than the dreadful drive in and out of the venue. As EDC Las Vegas returns to their moved up dates for the second time in a row, they have announced that they will be bringing camp grounds once again. Beyond just bringing back the camping options, the festival has just released new details of all the improvements they are implementing for 2019. The camp grounds this year will introduce brand new chill zones that feature BBQs, drinks and seating areas. There will also be a supermarket that offer friendly pricing on all goods. Improvements made from last year’s debut camping grounds are now the showers and restrooms will be open 24 hours. In addition, there will be more check in points for your campers so everyone can get settled in as quickly as possible. Check out all the new features and improvements made for this year’s EDC Camping experience below now! 🎡 Check out the new, improved, and redesigned #CampEDC including separate RV & Car entrances, shorter wait times, artificial eco-grass covering entire campgrounds, enhanced power grid, improved restrooms and showers open 24 hours a day, more shade, more chill zones and seating areas, bigger pools, a bigger stage, a new Camp EDC supermarket with Headliner-friendly pricing, expanded healthy food options, and much MUCH more! 🙌 We have taken all feedback into consideration and completely improved the overall Camp EDC experience. See you Under the Electric Sky soon! ❤️🌌 Link in bio for more info.